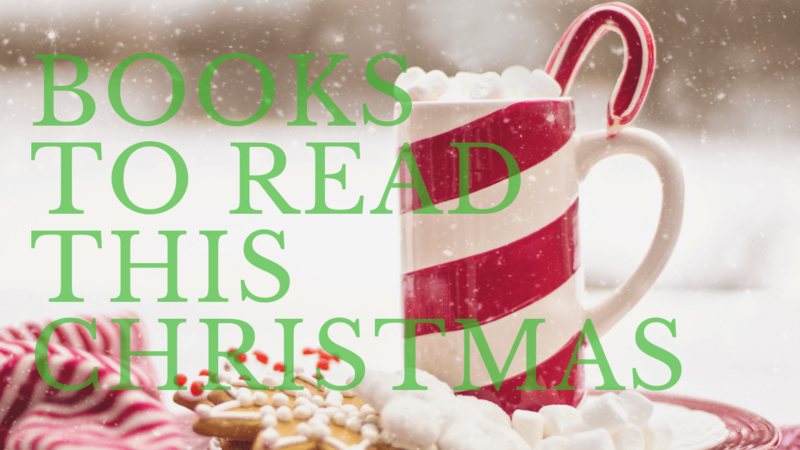 I actually have shared for several years many books that we have enjoyed as a family and each year, that list grows. This year I wanted to give you titles of books you can check out at the library, not all are Christmas and can be used throughout the winter! Score! I am later than I wanted to be in getting this out to you but unfortunately I just couldn’t make it happen. That is ok. Books like these should be enjoyed all year round! There are certainly books that are fun to re-read year after year: Night Before Christmas, Nutcracker, The Nativity, Polar Express, The Legend of the Poinsettia, A Christmas Carol, and, and, and, and. However, there is always something fun and exciting to add a bit of variety. Many readers LOVE the author, Margaret Wise Brown, but I fell in love with this book because I happen to really love the artist, Jim LaMarche. The Little Fir Tree is a whimsical tale that will delight any reader, and did I mention the illustrations?! While this does have the element of Christmas in it, it also talks about seasons and tree growth so I would definitely use this all winter long. My six-year-old-Ben really took delight in this story. Adding it to the favored pile. When it comes to candy, I despise, loath, and abominate it! The sugar and its effects on my children have left somewhat of a bitter taste in my mouth. However, I absolutely love the story of how the candy-cane came about. In The Legend of the Candy Cane, children will get to enjoy why we have candy canes at Christmas in this heartwarming story of a young girl befriending a total stranger who turns out to be much more then he lets on. This is actually a new addition to our bookshelves and I love it so much. It is the kind of story that has always captured my heart and makes me come back for more. In The Story of The Holly and the Ivy Barbara Cooney (hey! Another favorite illustrator!) magically paints the scene of Rummer Godden’s tale about a young orphan in search for a family, a couple in search of a family, and a doll that wishes for a child to bring it life. Beware, keep the tissues handy. I have become more and more fond of Linda Sue Park the more I read her. The Third Gift is not one that I have read, yet, but is on my request list from the local library. I include it because it sounds like just the type of book I would love and I really like this author. So, forgive me for suggesting this book before I have even read it, but I figured since it was about some of the wise men from the nativity story, you might forgive me, just this once. Some like it and some don’t but we are avid fans of Hans Christian Anderson who is the first author of The Steadfast Tin Soldier. Now, I will forewarn, Anderson didn’t always make happy endings and sometimes it can be a bit scary. However, I loved this story as a child and my eldest has taken a fancy to Anderson as well (psst, Matchstick Girl is another favorite and would work for winter! ), but I would not recommend sensitive readers participating in this. I am waiting a bit for my 6 year old. One of our favorite tradition is making Christmas cookies. I have a few recipes that I really try and make sure happen and that we share with firefighters, librarians, policemen, and neighbors, even if I don’t get to all family and friends that I would like. This story is the considered the story behind the idea of The Baker’s Dozen. Now, while there is some speculation on it, I love finding stories to read about the idea behind it is more blessed to give then to receive. If you have anything against Santa Clause, this may not be the book for you. The whole premise of the story is your wild west Christmas story with Calico trying to save the day from the villain who is determined not to let Santa Clause deliver presents on time. My boys love the wild west and while I mainly got this for my 6 year old, my 10 year old has been known to catch a few pages and readings. I think it stems from their love of The Rifleman. Its not a spectacular moving story, its just fun. And sometimes the boys don’t need hidden sermons, they just need a good story. It’s how the love of reading is created. I shared this book last year. It is one of my son’s favorites, and I am talking about son number 1, or child no. 2. However you like to look at it. Stephen! He has a name… This was his first big read and he inhaled it. Andy is that bratty child that decides to kidnap Santa. Impossible? Well, Andy has found out Santa’s secret. Chautona Havig is a Christian author so don’t worry about your child reading words that should never come out of anyone’s mouth, or behavior that is not dealt with. 😉 Hey, she raised me! I know what she will and will not allow. 😉 Thanks Mom! So many of you recommended The Christmas Doll to our family this year. I actually was able to get a copy from our local library and now a copy is on it’s way to our home. I fell in love with it too. It is a great historical fiction that kind of gives the idea of a Dickens feel. Two orphan girl’s flee when a deadly sickness breaks out in their orphanage and they learn to fend for themselves on the streets. When a doll, believed to be a long-lost treasure, crosses their paths, their lives, and yours, are changed forever. My daughter (11) really loved this book and may have stayed up well past her bedtime to get “just one more page” in. This is our current WINTER read aloud. This classic tale of two children in Holland is sure to delight your readers. Mine are finding that some of the detail is a bit droll, but my husband and I are really enjoying it 😉 However, as for the story, the kids are enjoying the actual story. I searched to find a GOOD copy since this was published before copyrights and there have been several poor reprintings. Hans Brinker or The Silver Skates is a older feel about perseverance, hard work, and a culture experience. If you are not use to older book in your home, it may be a bit slow and sluggish. I wanted to warn you about that. Ok, these next three are additions to our holiday shelf, but as of yet, I cannot actually tell you how much we love them. I can tell you that I have ONLY heard good things about them. Fair enough? We love the Sarah, Plain, and Tall series. My daughter and son have devoured them multiple times. I think due to the size as well as the content. So when The True Gift was suggested of course I snagged it up. Beyond that, I can only tell you what I see on Amazon’s description: “All year long Lily and Liam look forward to the holidays at their grandparents’ farm. It’s always the perfect trip: walking to the lilac library, trimming the tree, giving gifts. But this year, thanks to a white cow alone in the meadow, things will be different. This holiday, Lily and Liam will find out the meaning of a special gift.” Sounds right up my alley! Thank you, subscribers! I stumbled over this beauty when I was trying to find a good version of the Nutcracker. This looked RIGHT up my 11 year old’s alley. Nutcracked was written by a former ballerina (I can expect accuracy in ballet terms, hallelujah!) whose passion for playing Clara kept her going through many years of ballet. All I know about this story is that every time Georgie, the character in the story who is Clara in her ballet performance, holds the Nutcracker, she is no longer on stage, she is actually experiencing the world of the Nutcracker. Doesn’t it sound exciting? Yes, that had to come home to us. Remember my son who inhaled and devoured Moore’s Code? Again, many of you recommended this book to us, and knowing how much Stephen enjoyed the other one, I thought I would get A Boy Called Christmas for his shelf, this year. If I understand correctly, this is the story of how Santa Clause came about. Not to be confused with St. Nicholas, of course. The list could go on and on forever. I think of books like, The Quiet Little Woman and Other Stories, Family Under the Bridge, Jotham’s Journey, and much much more. Hopefully I have given you some new titles. If not, well, we must think alike! Have a Mmerry Christmas season!